The Postojna (Postojnska) cave is among the most popular day trip destination from Rovinj. Postojna is the largest tourist attraction in Slovenia, the caves are situated close to the motorway A1 between Ljubljana and Koper. 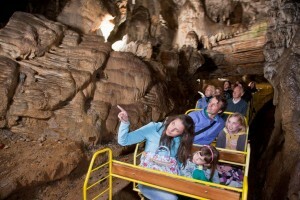 The Postojna caves ranks as one of the world’s largest karsts monuments. 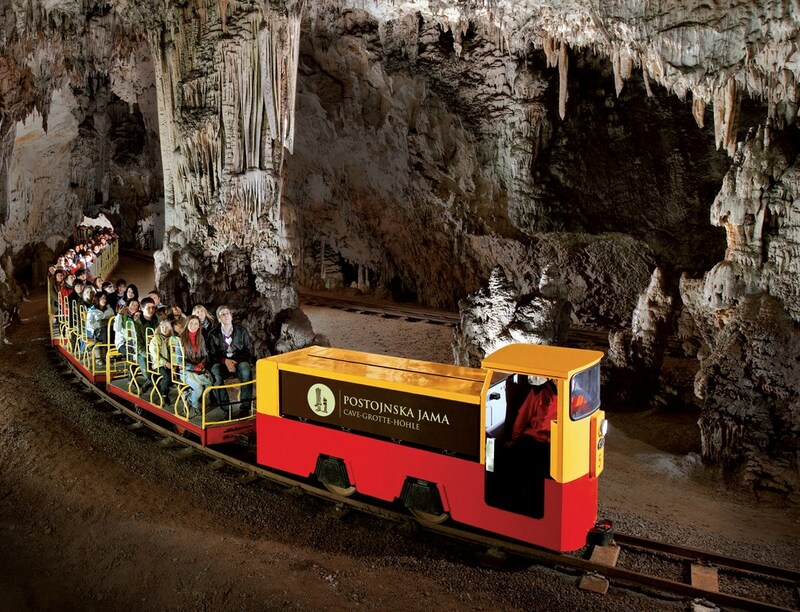 A highlight at Postojna is a trip with the 4 km long double tracked railway. You can read more about the Postojna cave here. By car, from Rovinj there is approximately 140 km to Postojna, the fastest route goes via Koper and the border crossing in Dragonja, the estimated driving time is about 1 hour and 45 minutes. In principle it is also possible to go via Rijeka and the border crossing in Jelšana, but this route is quite a bit longer both in relation to distance and travel time. I recommend you check the traffic forecast for both border crossings before you start your trip from Rovinj. If you need a rented car or a Minivan for the trip Postojna, you can rent on in here. By train: well, obviously there is no direct train (No train station in Rovinj), so what you will have to do, it to travel with car or by bus to either Rijeka or, Koper, the later being the better choice. From Koper you have a fairly large number of daily train departures, with stops at the Postojna train station. You can check international timetable for trains here. From the train station in Postojna it about 35 minutes by foot to get to the caves. If you are travelling by car, you could combine the trip with a visit to the Lipiza horse farm, which is situated between Postojna and the Koper. Here you can read what you can experience at Lipiza.